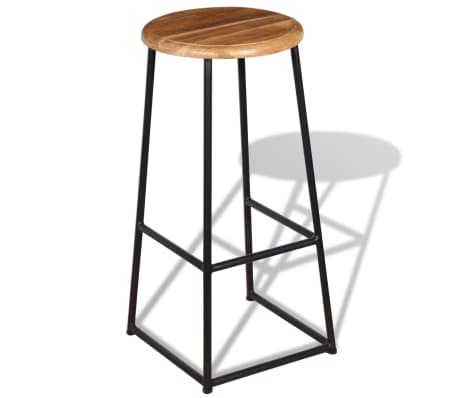 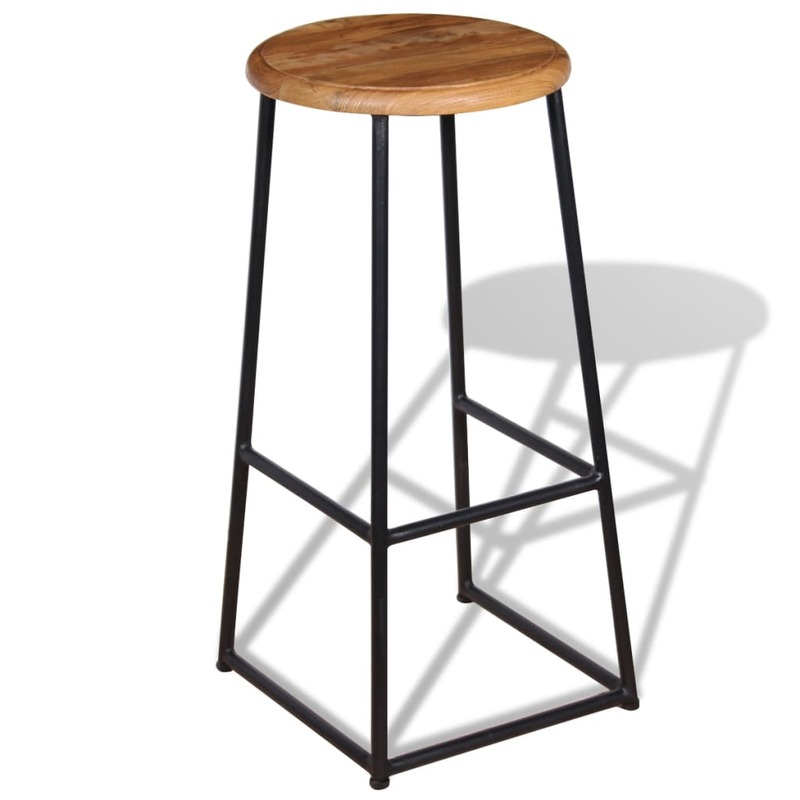 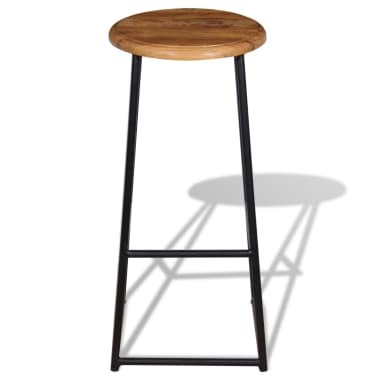 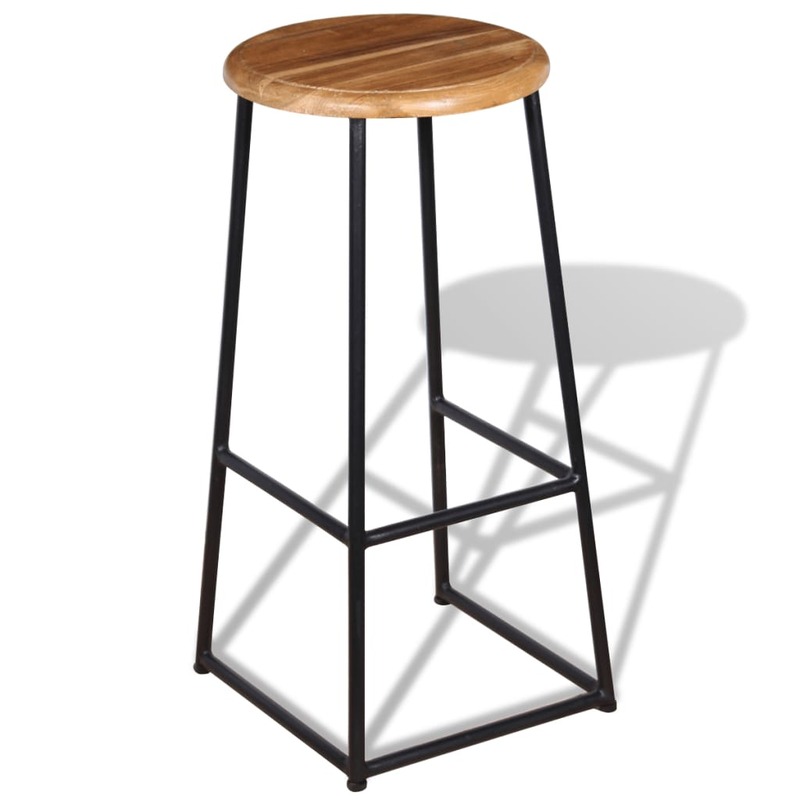 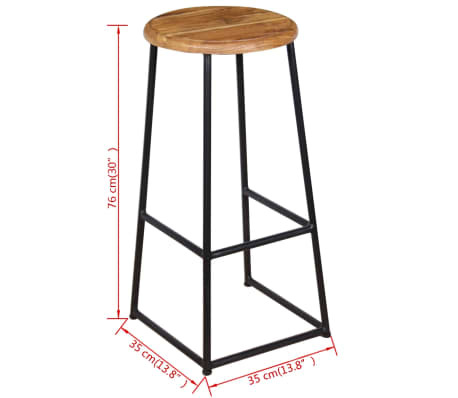 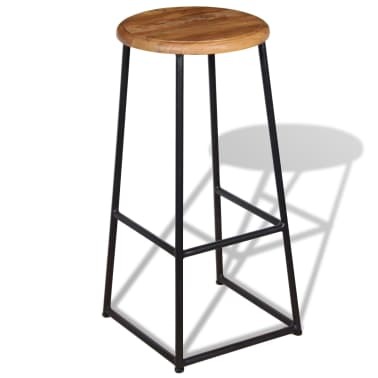 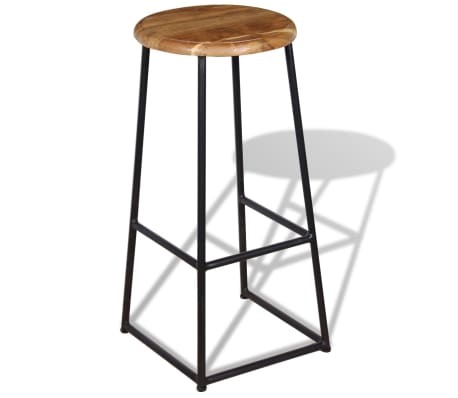 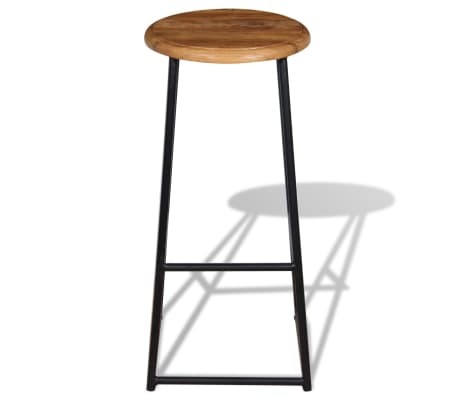 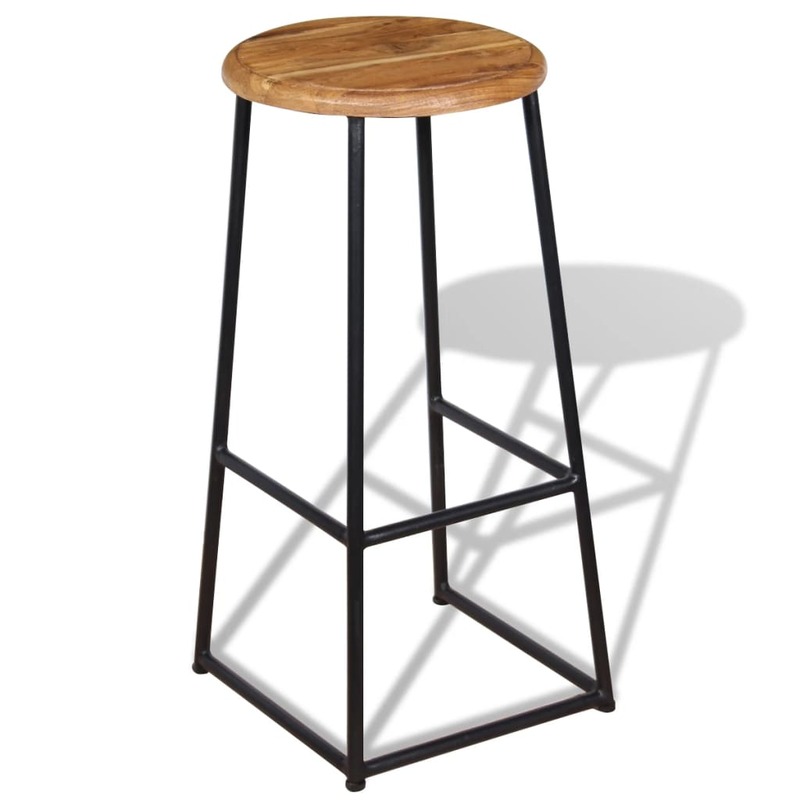 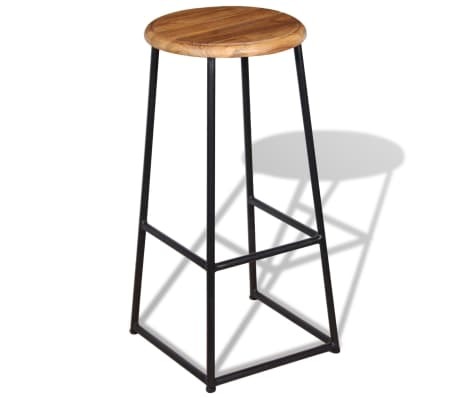 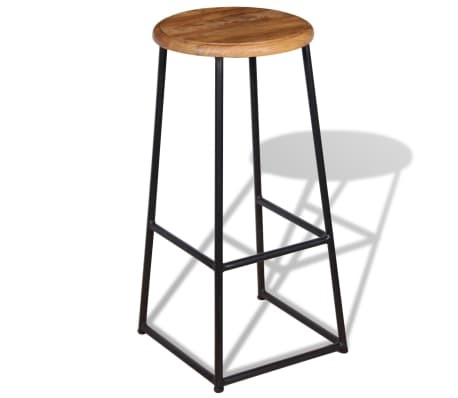 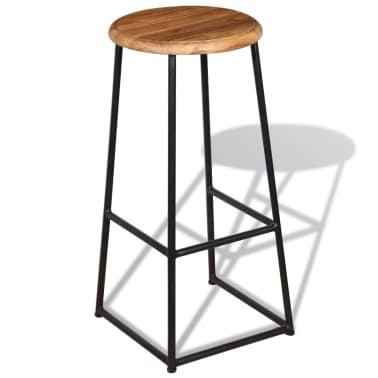 This bar stool set with its cool, industrial design, will suit any decor. 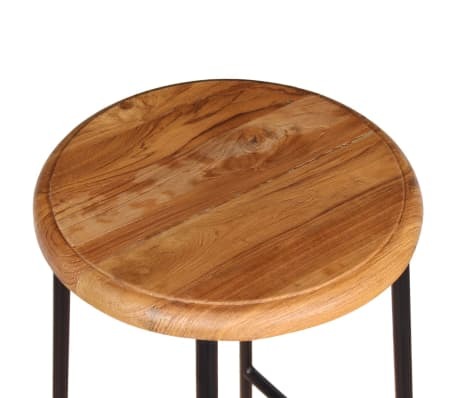 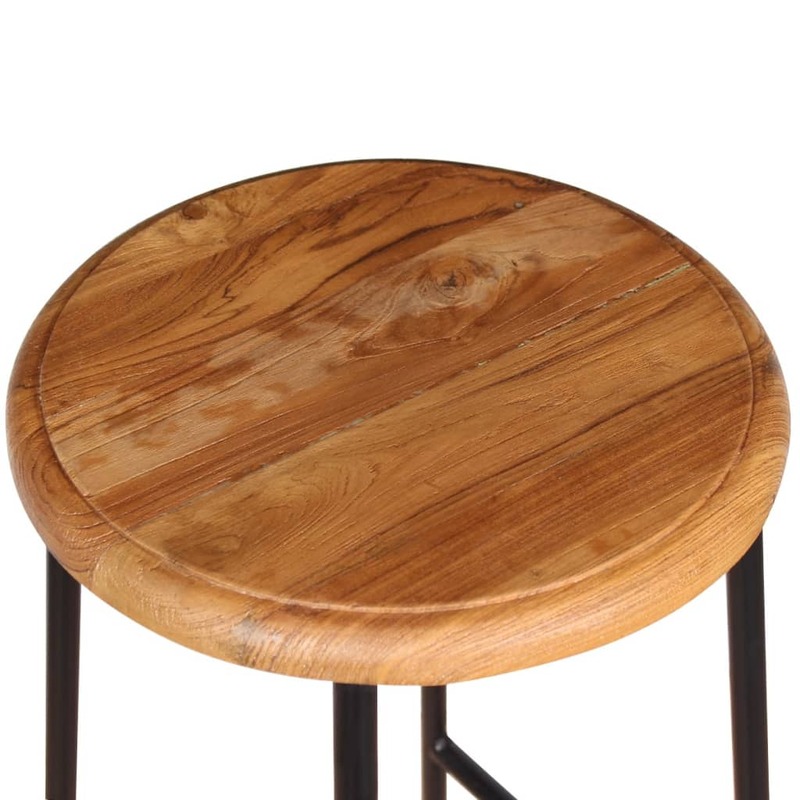 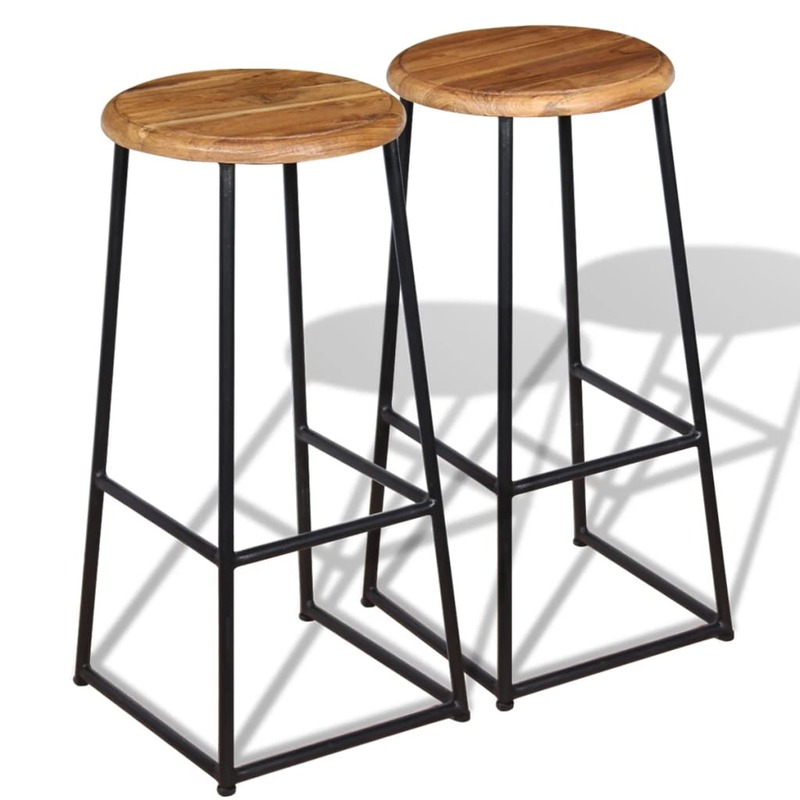 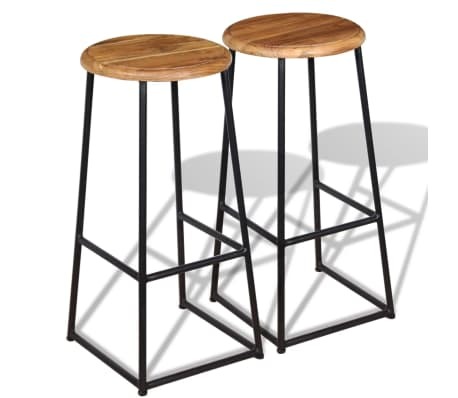 Made of solid teak, these bar stools are sturdy and durable. 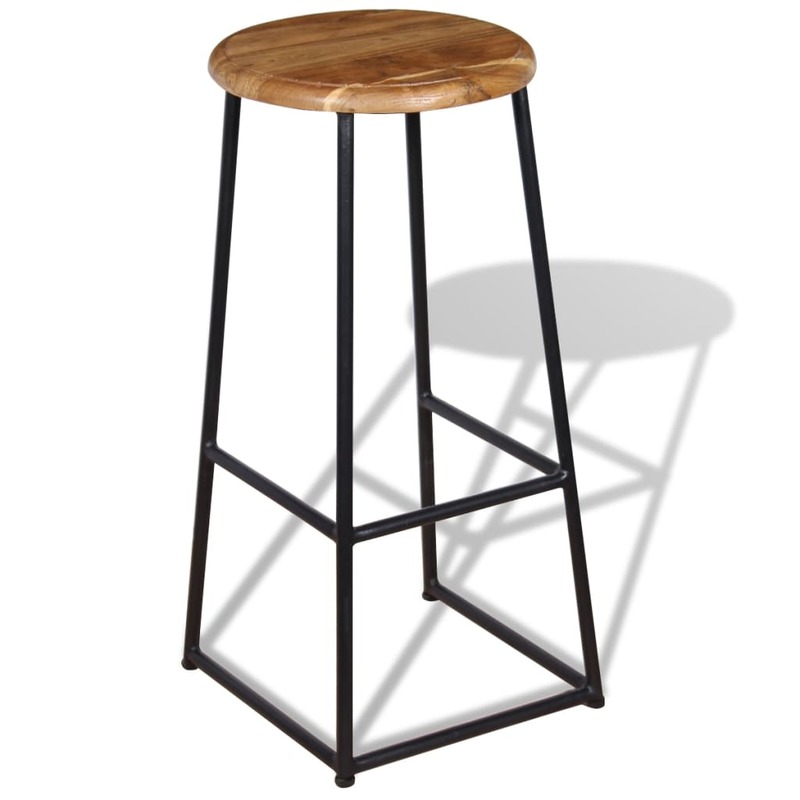 The frame is made of durable iron that adds to their sturdiness and can be cleaned with ease. The craftsmanship and beautiful wood grains make every piece of furniture unique and slightly different from the next. 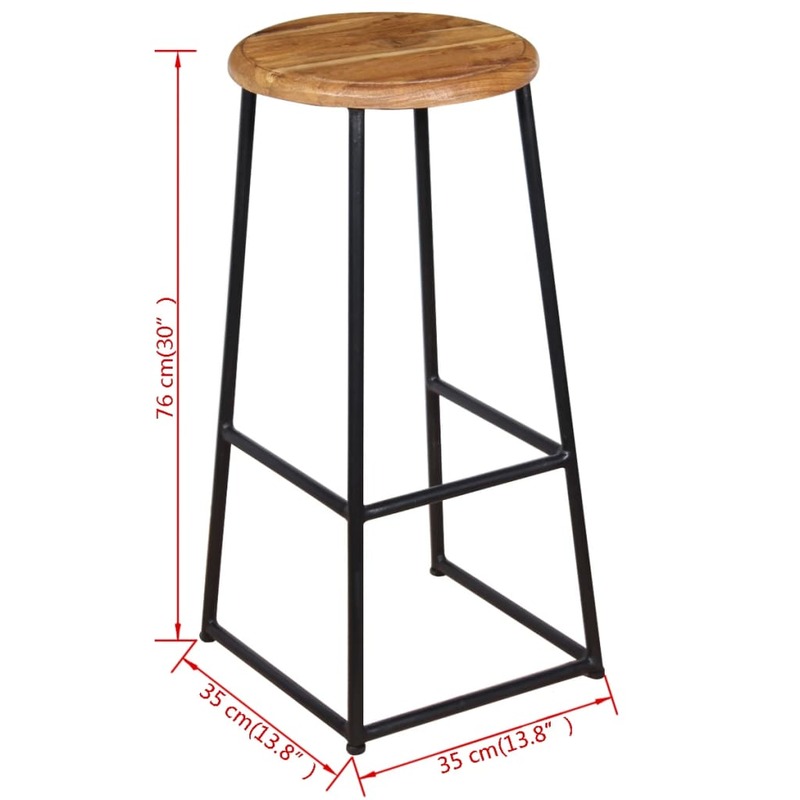 Important note: Colors vary from piece to piece, making each of our chairs unique; the delivery is random.